Iwakuni was an unimportant village that was deep in the Mori family’s vast domain until they lost all but Yamaguchi Prefecture after the battle of Sekigahara in 1600. Hiroie Kikkawa, a relative of the Mori family, was given the responsibility of transforming a backwater into a defendable and major outpost for his clan. 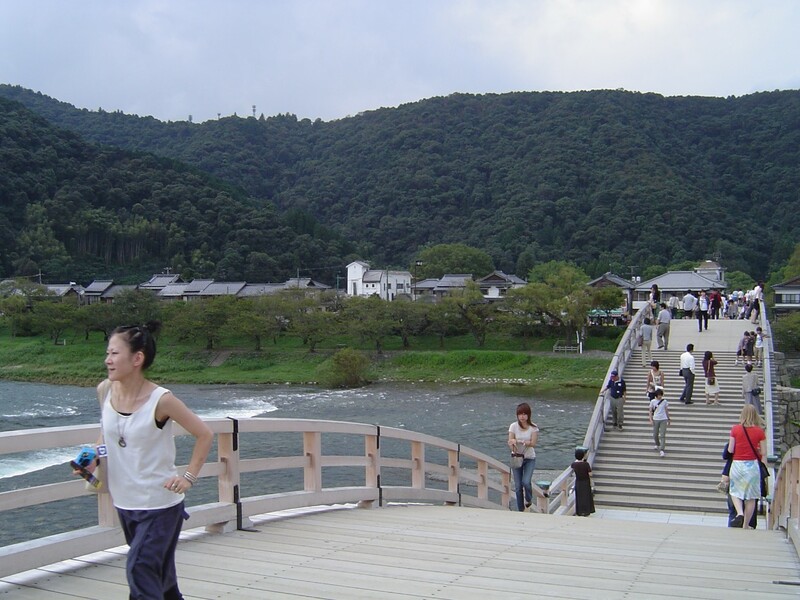 Today, the samurai quarter of the city that grew up around Iwakuni Castle and Kintai Bridge (Kintaikyo) is a major attraction in the city. The city’s economy relies mainly on pulp and paper, petroleum processing and the US marine base. Albino snakes sometimes occur in nature but generally the trait is not passed on to the offspring. 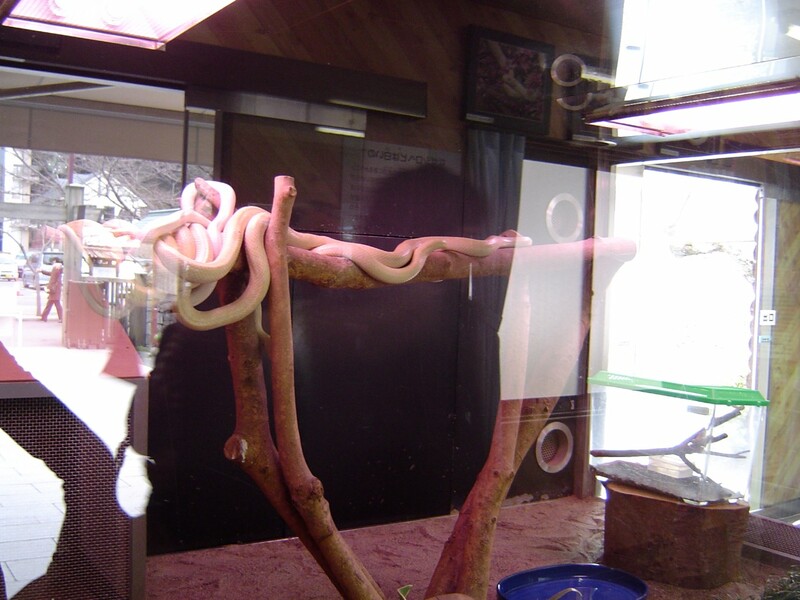 Iwakuni's white snakes are unique in the world as the coloring is stable and has existed from some time. The harmless snakes reach about 180 cm long and 15 cm thick. The snakes have been given the status of a natural monument. In a tradition stretching back 350 years, fishermen using cormorant birds fish in the Nishiki River under Kintai Bridge in the summer evenings. 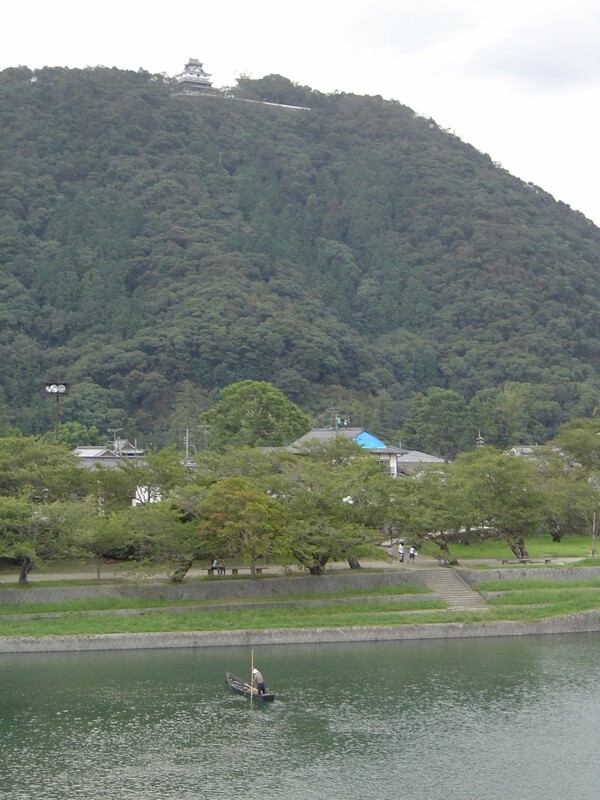 Miyoshi City in Hiroshima Prefecture is also known for its cormorant fishing. Sanzoku is distilled Japanese culture for a Japanese audience. This combination restaurant and mountain tourist trap is endearingly excessive and alarmingly charming. 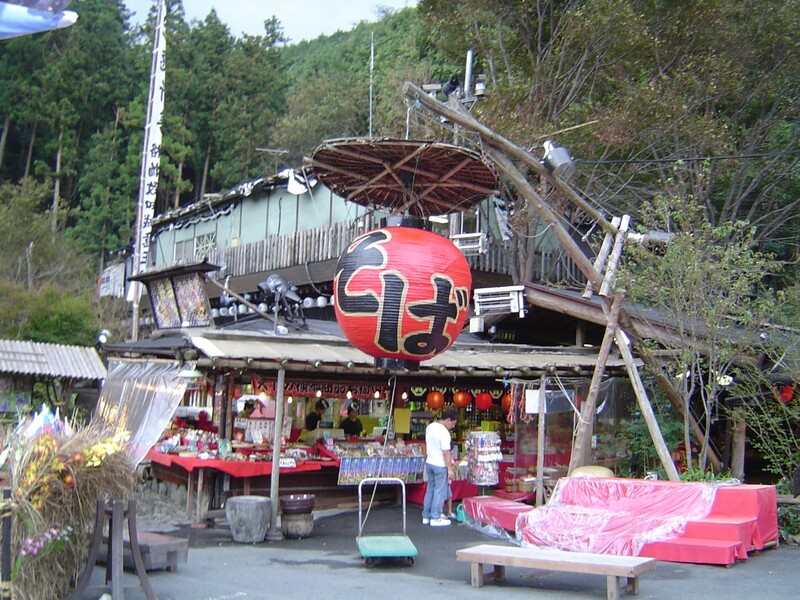 The restaurant is known for its above average handmade soba and the village portion is always dressed up for the current holiday season whether its Christmas or the Dolls Festival. 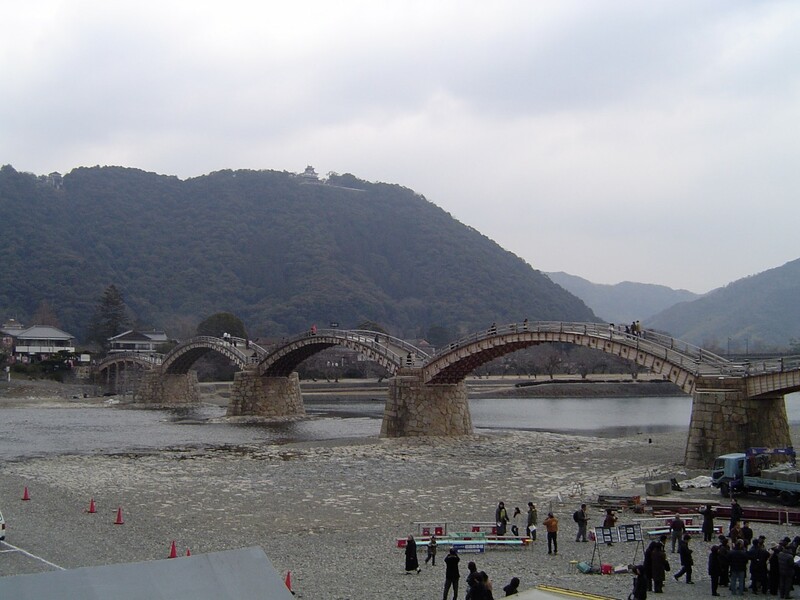 Kintai Bridge spans Nishiki River which once separated the samurai and their castle from the commoners. The bridge was a masterpiece of engineering with its 5 arches when it was first built in 1673. 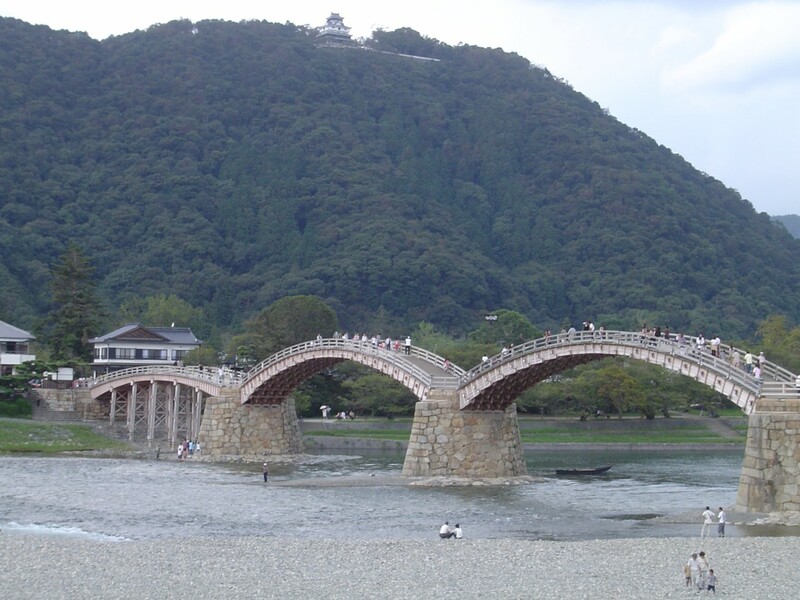 The bridge washed away the next year but the stronger replacement lasted until 1950 (rebuilt 1953) and became known as one of the top three classic bridges in Japan. The current bridge was built from 2001 to 2004 but the original design and traditional tools were used to create a faithful reproduction. From 1600, the feudal lord, Hiroie Kikkawa, spent 8 years building Iwakuni Castle along the banks of the Nishiki River and established the area as a center of culture and commerce. A mere 7 years later it was razed because it violated the Tokugawa government’s new policy of one castle per territory. The current iteration is a concrete reconstruction. The marine base in Iwakuni City sits entirely on reclaimed ground that was purchased by the Japanese government for its own naval air station in 1938. The base was occupied by American, British, Australian, and New Zealand forces after the war. The conflict in Korea saw British and American planes based here until it became an American base on April 1, 1952. Considerable local political posturing occurs over the base and there is always debate about the future of the base. The base has about 10,000 personnel, including local workers. The base holds a friendship day every May 5. 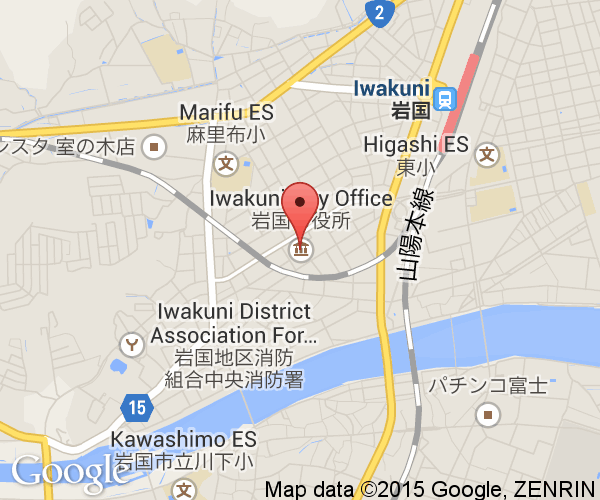 Iwakuni City is easily reached by local trains on the Sanyo Honsen Line from Hiroshima City or Yamaguchi City. Shinkansen trains stop at Shin-Iwakuni Station which is located outside the city center.